Often considered one of the more difficult languages to master thanks to the incredible amount of inconsistencies in the language, it should come as no surprise that the development of the modern English alphabet involved several languages, hundreds of years and a variety of conquers, missionaries and scholars. Dating back nearly four thousand years, early alphabetic writing, as opposed to other early forms of writing like cuneiform (which employed the use of different wedge shapes) or hieroglyphics (which primarily used pictographic symbols), relied on simple lines to represent spoken sounds. Scholars attribute its origin to a little known Proto-Sinatic, Semitic form of writing developed in Egypt between 1800 and 1900 BC. Building on this ancient foundation, the first widely used alphabet was developed by the Phoenicians about seven hundred years later. Consisting of 22 letters, all consonants, this Semitic language became used throughout the Mediterranean, including in the Levant, the Iberian peninsula, North Africa and southern Europe. 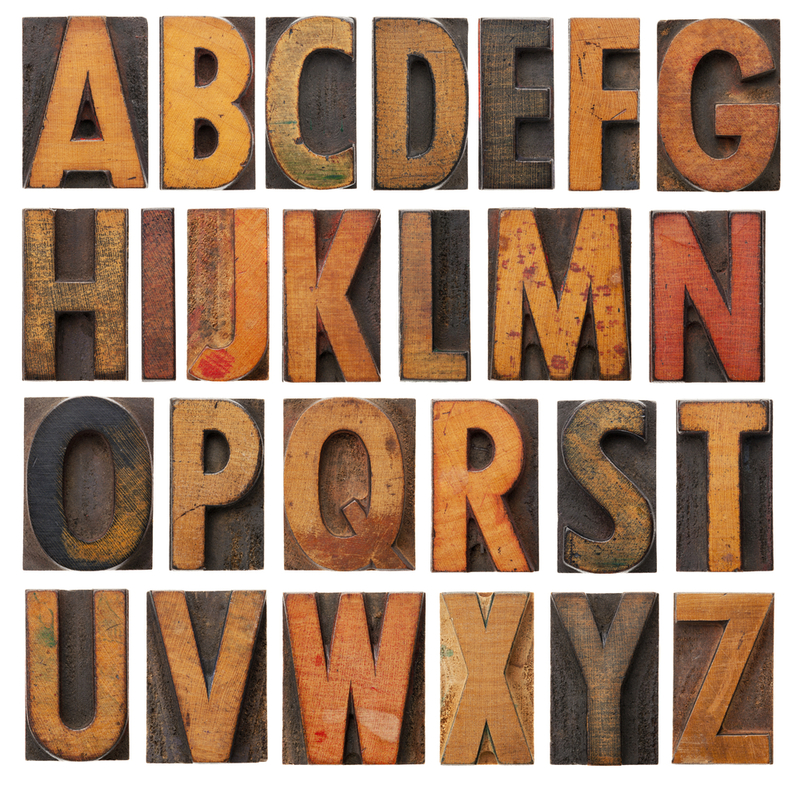 The Greeks built on the Phoenician alphabet by adding vowels sometime around 750 BC. Considered the first true alphabet, it was later appropriated by the Latins (later to become the Romans) who combined it with notable Etruscan characters including the letters “F” and “S”. Although ancient Latin omitted G, J, V (or U)*, W, Y and Z, by about the third century, the Roman alphabet looked very similar to our modern English, containing every letter except J, U (or V)* and W.
The history of writing in Britain begins with the Anglo-Saxons in the fifth century AD. With ties to Scandinavia and other North Seas cultures, ancient Anglo-Saxon writing, called futhorc, was a runic language. Flexible, new runes were routinely added such that, although it first appeared in England with 26 characters, by the time of its demise (by the 11th century AD), it had 33. In the seventh century AD, the Latin alphabet introduced by Christian missionaries had begun to take hold. By 1011, a formal list of the Old English alphabet was made and included all of our present letters except J, U (or V)* and W. The ampersand and five uniquely English letters, designated ond, wynn, thorn, eth and ash, were included. ofer hronrade hyran scolde, gomban gyldan; þæt wæs god cyning! Ðæm eafera wæs æfter cenned geong in geardum, þone God sende folce to frofre; fyrenðearfe ongeat, þe hie ær drugon aldorlease lange hwile; him þæs Liffrea, wuldres Wealdend woroldare forgeaf, Beowulf wæs breme — blæd wide sprang— Scyldes eafera Scedelandum in. Swa sceal geong guma gode gewyrcean, fromum feohgiftumon fæder bearme . . . Shortly after the Old English alphabet was first set down, the Normans invaded (1066 AD). English as a language was relegated primarily to the low born, with the nobility, clergy and scholars speaking and/or writing in Norman or Latin. By the 13th century when writing in English began to become more prominent again, the language reflected two centuries of Norman rule. The Old English letters thorn and eth were replaced by “th”; wynn eventually became u-u or “w”; and the other English letters were discarded. And alle were worthy men in hir degree. That I ne sholde wedded be but ones. With the introduction of the printing press (invented by Johann Gutenberg in 1448) to Great Britain in the mid 15th century by William Caxton, English became more standardized and modern English appeared. Sometime in the mid-16th century, V and U were split into two letters, with U becoming the vowel, and V, the consonant. In 1604, Robert Cawdrey published the first English dictionary, the Table Alphabeticall, and about this time, J was added to create the modern English alphabet we know today. And the rest, as they say, is history. According to the United Nations Educational Scientific and Cultural Organization (UNESCO), Arabic, Bengali, English, French, German, Hindi, Japanese, Mandarin Chinese, Portuguese, Russian and Spanish each have at least 100 million speakers. These account for 51% of the population of the world. The remaining 49% speak any of the remaining 6000+ languages, with most sharing a mother tongue with only a tiny percentage of the world’s population. Most of the world’s languages (33% or 2197) are found in Asia followed closely by 30% coming from Africa (2058). The people of the Pacific and the Americas, combined, use 34% (2324) languages, while Europe, with its 230 languages, accounts for only 3% of the total number of languages used across the globe. How is Public Enemy far from modern English? I can go much deeper into this theory esp the continuing pattern and shape, which seems to be about 90 % logical however would love to discuss with a scholar. .. So maybe Ive just worked out that the Earth is round , nobody told me . as Rablah. Colfes Grammar c 1949 wd say …Discuss !!!! it is a very interesting but weird (in a good way). This is a very confused and misleading article. It mixes up languages, writing systems and alphabets. Without understanding these really basic distinctions (year 1 of any linguistics course) you get into a terrible tangle and mislead and confuse your readers. 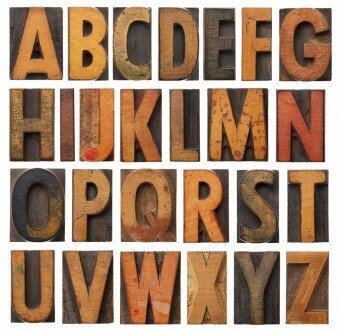 Comment: The modern English alphabet is not a language. And the word you want (and should have checked) is ‘conquerors’. Comment: Whether cuneiform writing (which in fact was partly alphabetic, insofar as it represented consonant sounds by particular symbols) employed wedge shapes is a completely separate issue from whether the writing system was alphabetic versus pictographic. Saying it employed wedge shapes merely describes how the symbols were physically formed. Comment: Again, the writer is mixing up an alphabet with a language. This is terribly confused: they are not the same thing at all. Comment: confusion of language and writing again. (Runes were used to transcribe other languages as well as Anglo-Saxon). If you’re going to publish stuff on this subject, you need to have an understanding of the basic concepts and distinctions. Otherwise what you write is, frankly, inaccurate and misleading.